I'm a huge bookworm. For me, nothing compares to an afternoon reading a great book, with great music on in the background. I do spend a lot of time just looking online at Waterstones (one of Britains largest bookstores) for new and interesting books. Thats how I found out about 'Glamour: Women, History, Feminism' by Carol Dyhouse. It looked like such an interesting book, and the publishers, Zed Books, offered to send me a copy of the book. The aim of the book is to see how we look at 'Glamour' and whether it has empowered women or turned them into objects. The book looks at the history of glamour and how its conceptions changed over time. The book looks into the meaning of the word 'Glamour' by using a lot of different sources, from old adverts to magazine clippings. 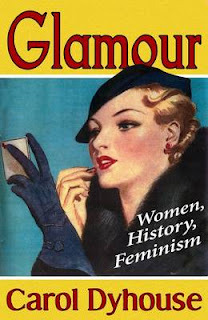 Carol Dyhouse, the author, really examines the whole history behind glamour, and I have to admit, she does it well. She explores the affects of glamour on women through the last century and see's just how much it has affected us. From the flappers of the 20's, to the Pin Ups of the 50's and the more indepedent power dressing of the 80's. This book really goes in depth about fashion and glamour in the past. At just under 200 pages, the book is a very light and interesting read, and I managed to get through it in a few days. Dyhouse examines fashions decade-by-decade throught the 20th Century to see just how the view of glamour has changed. It starts properly, by looking at the fashions of the 1920's and goes all the way to the late 1990's. Because of all the history in the book, I did learn a lot about fashion and how it was viewed, and how it is viewed today. For example, it very interestingly shows where the word 'It Girl' comes from and when it was first used. Clara Bow: The first It Girl? The book also explores the importance of the cosmetics industry and looks into th interesting rivalry between Helena Rubinstein and Elizabeth Arden, both pioneers for make up. Although make up was worn before, these 2 women took it to a whole new level. Dyhouse then goes on to focus on the rise of MaxFactor and George Westmore, both absolute legends in the cosmetics world. 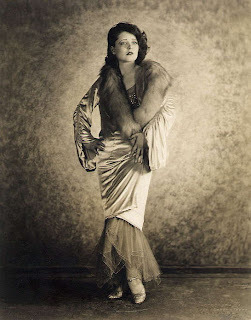 What I loved was reading about the influence of fur durng the 20th century. It seemed to make a big appearance in most of the decades and was always seen as something that was the height of glamour and affluence. It seems like it is one thing thats always been in fashion, with the use of all kind of animals from the ever so popular fox, to rabbits, and prestigious Mink. By reading the book, it is clear that Dyhouse did a lot of research and is really knowedgable about the subject as a whole. While focusing on glamour, the book also focuses on the role of women in the last century as well. Women have always had a contradictory role, and 'glamour' has played a big role in defining, or trying to define, women. This isn't just a book about fashion, its much more. It looks into social attitudes of women and how they've been percieved throughout the last century. What they've done and accomplished for themselves. Its a history of how women who were dependednt fully on men for everything came to where we are today. It lookes at historical events, such as the Wars and Wall Street crash and analyses how these times changed how women were percieved. For example, during the Second World War, women were forced to go out and work, and this gave us a new independence. It also looks at the revolutions and 'Youthquake' of the 1960's, which was a real time of change for women. 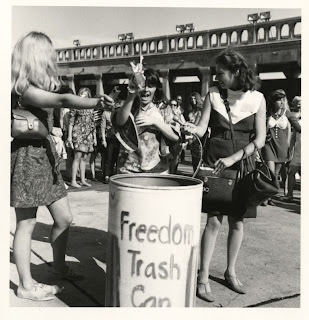 The 1960's was an important time for women's rights, with second wave feminism and the infamous Bra Burning campaigns. So many brands popped up throughout the book and you learn about some of their most popular products and how they came about. The book also looks at many inspiriational women, such as Marlene Dietrich and Marylin Monroe, who've made differences in fashion. I really loved how the book looked into these icons to see how they changed fashion and changed perceptions about trends. What I did pick up from this book is that Glamour is all about attitude and confidence! And personally, I would love to read a similar sort of book in 50 years as well, that looks into Glamour and fashion in the early 21st Century. A definite must read for any fashionista out there (Barnes & Noble will start selling it at the end of April). I'm going to look for that book! Thanks for the thumbs up! It sounds interesting based on your review... and I want to read more about the "it girl". Oooh interesting...The photos are awesome. Love this one, I should def read it! I love the sound of the book a book that breaks down feminism and fashion sounds like heaven to me and it sounds like sort of a scrapbookish thing too sounds really good may have to buy it! This looks like a good read, must read this! I wish I could apply this book to my university studies, but I don't think it has much to do with English literature. :( Will have to order it though, I've always been interested in how fashions come about! I'm a bookworm too! I love this post. The photos are amazing. Sounds like a great book. I love to look at the culture behind fashion. I may have to buy it for my holiday. The only time that I get to actually read a book. This looks so interesting! My sister is majoring in women's studies, so I might have to suggest this to her. Looks like a great book and I like that it gets into deeper issues of women during that time! Sounds like an amazing book to read, but you've done a great post on it. I'm intrigued now! and wow, you gave such a great review! thanks for sharing, Sherin. now i'm interested, too. seems like a very interesting book! love those vintage pictures, esp. 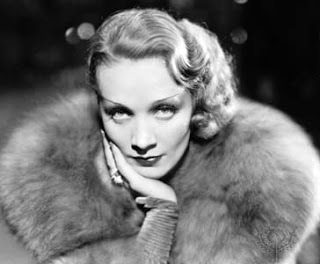 the marlene dietrich one. You've definitely piqued my interest with your fab review! I absolutely love to read and this sounds like a book worth reading! I will have to pick up a copy in April! thanks for the info! hope ur having a good week! I used to be a bookworm but now I rely on the internet for my reading materials because most books being sold in the place where I live right now are translated in Spanish.